Alkaline is dealing with an imposter deejay that is giving him a bad rap in dancehall by viciously dissing Vybz Kartel. Last week Urban Islandz reported that Alkaline released a new single “Lose” where he alluded that he is the man in dancehall now and not Vybz Kartel. But a rep for the Vendetta deejay told us that the single was recorded by an imposter deejay name Fabian. 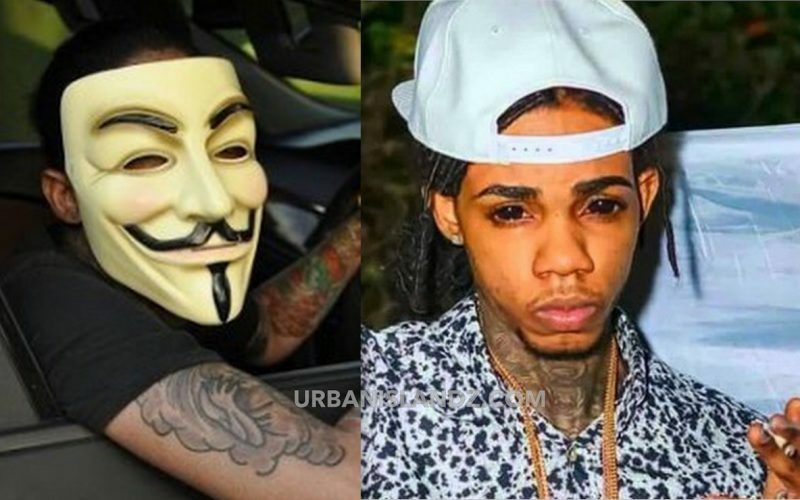 Alkaline’s reps also told us that there is no beef between the deejay and Vybz Kartel. “Alka always look up to Vybz Kartel as one of the best that ever does dancehall music so all these rumors of beef and diss are false,” his reps added. Check out the imposter video below. Alkaline need to see that the impact of the controversy by him not admitting that Vybz is a influence on him has worn off. He would get more respect and fans by paying the respect and homage due to the Legend who paved the way for him cause without a Kartel ,no Alkaline would exist. then why he diss him in songs and wont admit in interviews he is heavily influenced by him?…his team tryna make him look good now after all the f–kry he been doing..
Don’t give a fake artist any press cuz thats what they want. Big up Alkaline and big up World Boss.